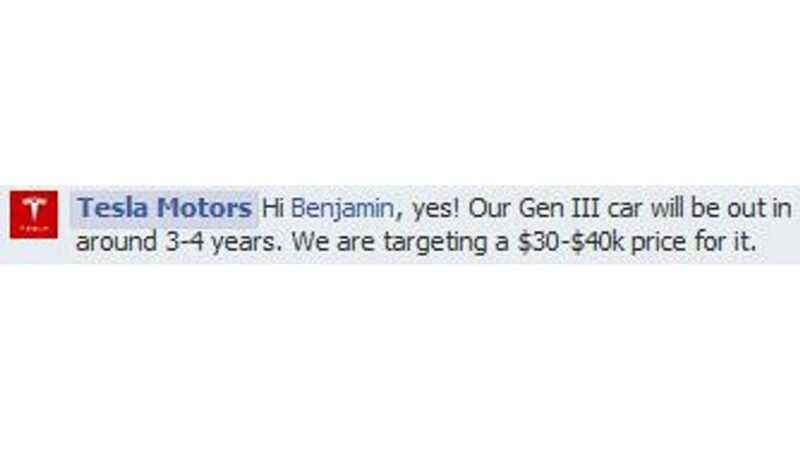 "Our Gen III car will be out in around 3-4 years. We are targeting a $30-$40k price for it." 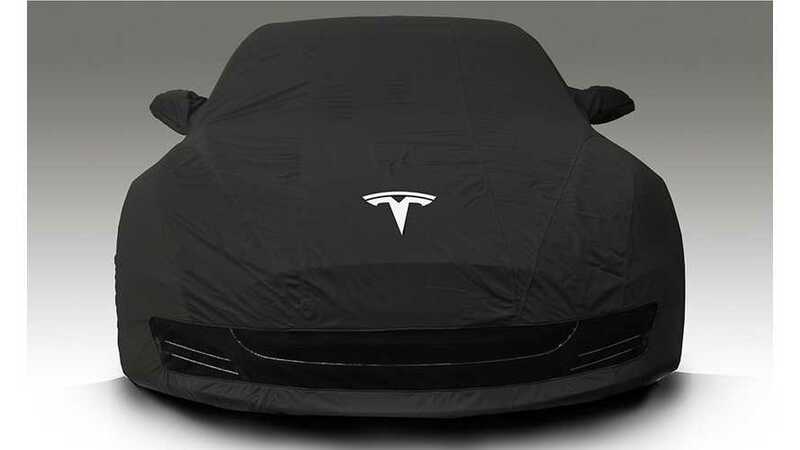 The only noticeable differences we see from what Musk typically states in regards to Gen III and Tesla's official word is in the vagueness put forth by the automaker. Whereas Musk zeroes in on a specific price point, Tesla gives a $10,000 range. Likewise, Musk often says something like it'll be here in 3 years or expect it in 2016, Tesla Motors says "around 3-4 years." 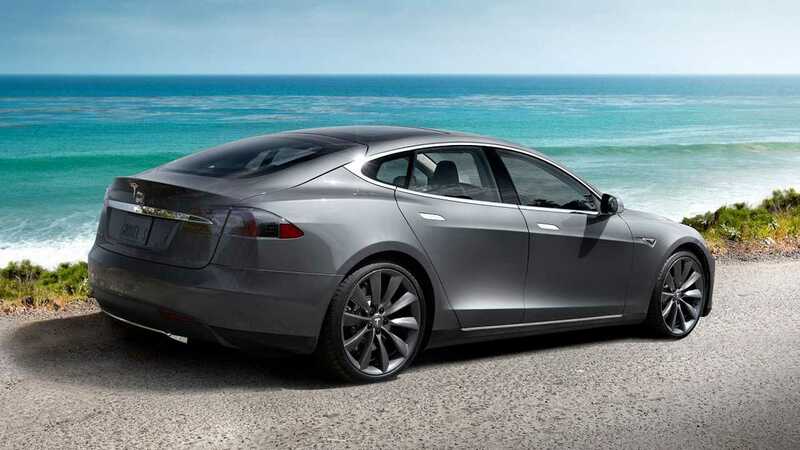 Best case scenario: Tesla Model E arrives in 2016 with a $30,000 price tag. Not best case scenario: Tesla Model E shows up in late 2017 with a $40,000 price tag. At least we've got Tesla now on record giving the general public some info on Gen III.